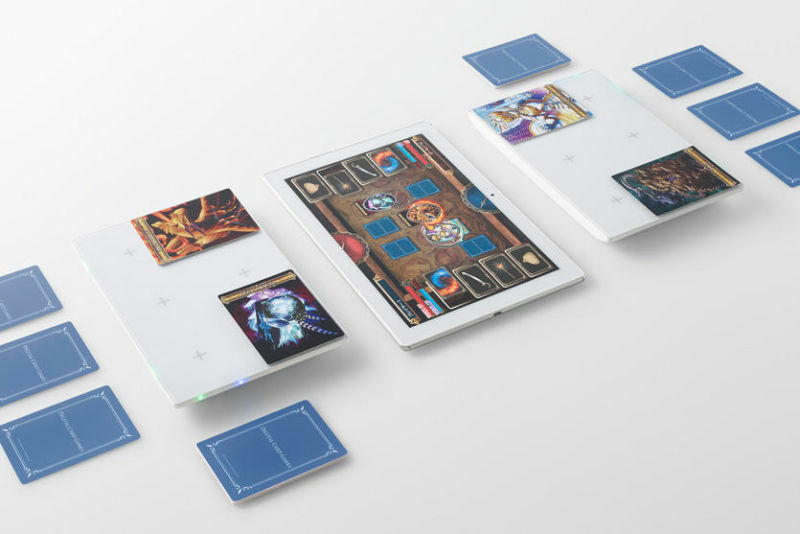 Sony is looking to revolutionize the way we play card games, and it isn't looking to do it with new cards. Instead, it's introducing Project Field, a special pad that works with smartphones and tablets. With a special IC reader, sensors, LED, and Bluetooth on board, it's meant to more easily connect to tablets, phones, and other mobile devices that utilize Project Field games. The pad itself will have special slots on which you can place and move around corresponding cards, which will translate into in-game and on-screen actions. This isn't new to players familiar with Japanese card games, but it's finally viable for smartphone and tablet players. There's currently a Yo-kai Watch game out for Project Field, though it's currently only relegated to Japanese players only. Hopefully it catches on and really kicks off a new trend for mobile card games going forward, since they're ridiculously popular when it comes to mobile players. Hearthstone and Yu-Gi-Oh!, anyone?